Renaissance festival held every 3rd Saturday April thru August! There are so many things to do and places to explore when you visit Chateau Laroche. From a quiet walk down the pathways of the gardens exploring the various plants and flowers to a family picnic by the river to admiring the collection of period weaponry on display. Harry Andrews built the stone castle in the 1920s on the bank of the Little Miami River. 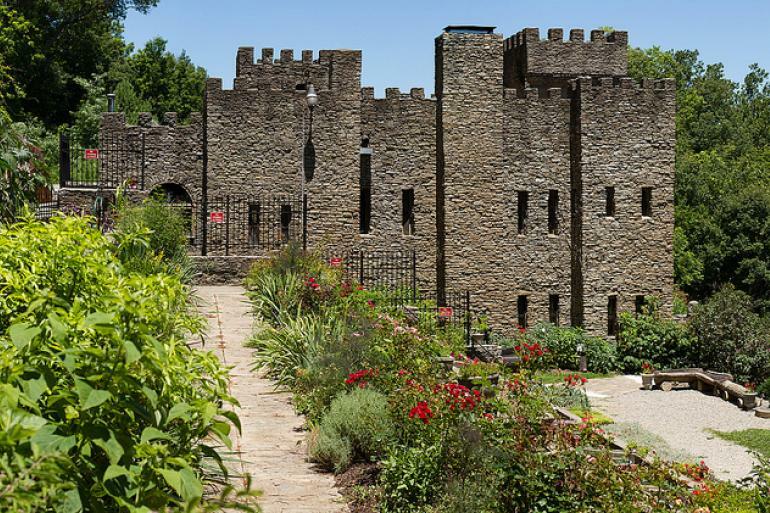 The castle hosts events year-round and offers picnic facilities, a garden, games and tours. The structure itself demonstrates three distinctive styles of architecture: German, French and English. Plus, four types of towers, a domed ceiling, a dry-moat, hand-tiled ceilings and more. Whether you're a beginner or expert, looking for flat and easy, hilly and hard or just want nice views, there's a bike trail for you! Find fun and romance on a budget in Cincinnati and Northern Kentucky. Find memory-making destinations around Cincinnati and Northern Kentucky for family fun time with your 3-6 year olds. Cross these items off your Cincinnati region bucket list without breaking the bank! Looking for memory-making spots around Cincinnati & Northern Kentucky for 7-12 year olds? Let's get started!